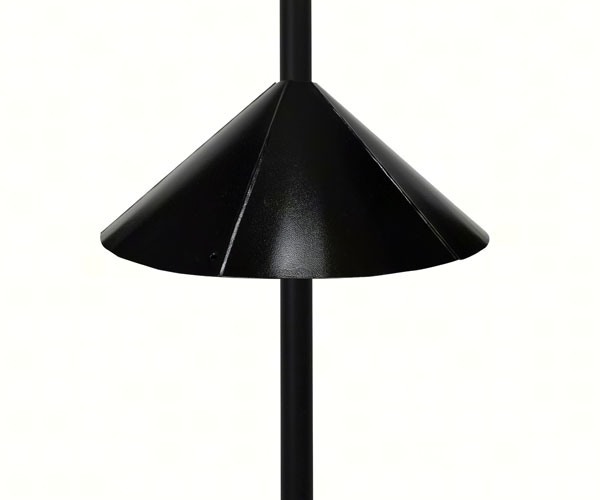 These cone-shaped baffles feature a snap-on component that allow for them to install and adjust to fit poles without having to remove the bird feeder from the pole or hanger. They may be mounted above or under feeders and houses. When properly installed, these baffles are highly effective in preventing squirrels and other predators from raiding seed, damaging feeders and houses, or harming your birds. Made from UV protected, weather durable, long-lasting powder coated metal. These baffles are extremely easy to use and adjust to fit poles .5 inch to 1.375 inches in diameter.